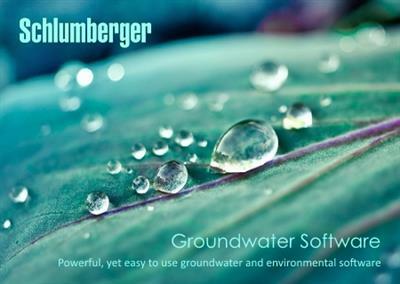 Schlumberger, the world's leading supplier of technology, integrated project management and information solutions to customers working in the oil and gas industry worldwide, presents Groundwater Software 2014.2 - powerful, yet easy to use groundwater and environmental software. Schlumberger Water Services is a recognized leader in the development and application of innovative groundwater technologies. Our software consists of a complete suite of environmental software applications engineered for groundwater data management and analysis, modeling and simulation, and reporting. Since 1989 our products have been used by firms, regulatory agencies, and educational institutions around the world. Each of our products has been developed to maximize productivity and minimize the complexities associated with groundwater and environmental projects. Designed for graphical analysis and reporting of pumping test and slug test data, AquiferTest Pro software offers the tools necessary to calculate an aquifer's hydraulic properties such as hydraulic conductivity, transmissivity, and storativity. AquiferTest Pro software is versatile enough to consider confined aquifers, unconfined aquifers, leaky aquifers, and fractured rock aquifer conditions. Analysis results are displayed in report format or may be exported into graphical formats for use in presentations. This program also provides the tools for trend corrections and graphical contouring of water table drawdown around the pumping well. Hydro GeoAnalyst enterprise-class information management system is used to manage groundwater and environmental data. Hydro GeoAnalyst software supports an entire team of environmental professionals by combining numerous pre- and post-processing components into a single program. Components include Project Wizard, Universal Data Transfer System, Template Manager, Materials Specification Editor, Query Builder, QA/QC Reporter, Map Manager, Cross-Section Editor, HGA 3D-Explorer, Borehole Log Descriptionter, and Report Editor. The seamless integration of these tools provides the means for compiling and normalizing field data, analyzing and reporting subsurface data, mapping and assessing spatial information, and reporting site data. AquaChem software is designed for the management, analysis, and reporting of water quality data. Its analysis capabilities cover a wide range of functions and calculations frequently used for analyzing, interpreting, and comparing water quality data. AquaChem software includes a comprehensive selection of commonly used Descriptionting techniques to represent the chemical characteristics of aqueous geochemical and water quality data. It also includes PHREEQC-a powerful geochemical reaction model.